The Men’s soccer team finished the regular season on a two game winning streak and finished third in Michigan Community College Athletic Association standings behind Muskegon (6-2, 12-6) and Ancilla (6-2, 10-8) with a record of 5-3, 10-8 overall. Victories over Jackson and Lakeland CC gave Schoolcraft a playoff berth in the NJCAA Region XII tournament where they defeated Ancilla 2-0 on Oct. 30. Schoolcraft takes on Cincinnati State Tech on Saturday. The Ocelots ended the regular season on a high note as they defeated Lakeland 6-2 at home. Sophomore Tom Ashmore led the way for the Ocelots scoring three goals. Sophomore Romario Georgis scored two goals and one assist. Nathan Bergeson had two assists in the victory. Schoolcraft traveled to host Jackson CC on Oct. 23 to take on the 0-8 Jets. The Jets were still looking for their first win of the season in the MCCAA but couldn’t match the Ocelots momentum. Two goals by Romario Georgis (16, 17) and a shutout pitched by Sean Simney propelled Schoolcraft to a victory. Jarred Phillps assisted on Georgis’s first goal, while Georgis scored unassisted on the second. The Ocelots outshot Jackson 11-0. The 2013 Men’s Cross Country team concluded their regular season on Oct. 26, on a crisp, cool Saturday afternoon in Lansing, the site of the State and Region XII Cross-Country Championship. Several Schoolcraft runners were coming off of stellar performances at last week’s Free Press 5K, but the team saved the best for last. 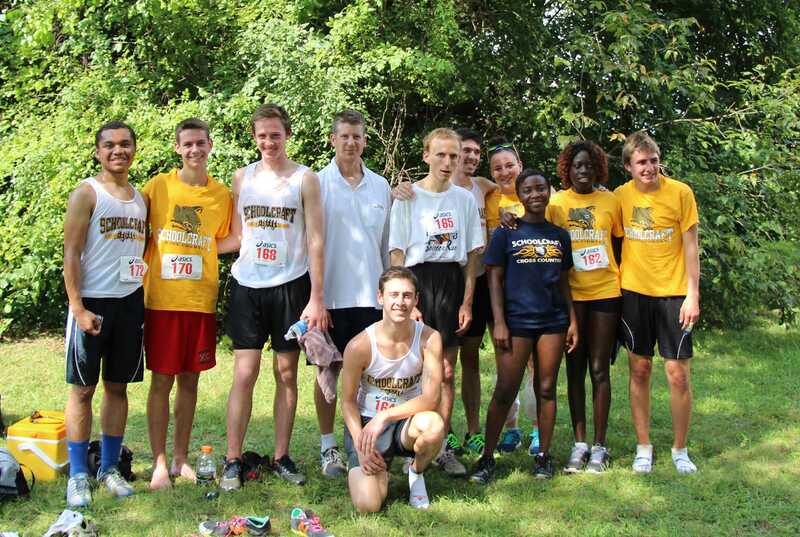 Every single member of Schoolcraft’s team recorded their fastest times of the year (in an 8K race) and the squad definitely held their own against some tough competition – including several teams ranked inside the top 20 in the nation. The Ocelots placed just behind Lorain CC, the only other Division III team at the meet and one that had held fast in the top 10 for the entire season. Schoolcraft was paced for the third consecutive week by freshman Ethan Levack, who finished just inside the 30-minute mark at 29:10 (5:52 per mile and 18:14 per 5K at that pace.) Only 43 seconds behind him was sophomore Derek Puishes (29:53), who in turn was followed by freshman Caton Hacker, clocking an even 30:00. Freshmen Brian Dusziewicz (30:09) and Joel Simpson (31:22) rounded out the team’s top 5. The Men’s and Women’s Cross Country National Championships will take place in Holyoke, Massachusetts on Saturday, November 9. Schoolcraft finished the regular season third in the MCCAA’s Eastern Conference standings with a 6-4, 15-17 overall record. Schoolcraft (15-17) played Owens CC on Nov. 1 in the NJCAA District A tournament in Grand Rapids, but results were unavailable as of press time. 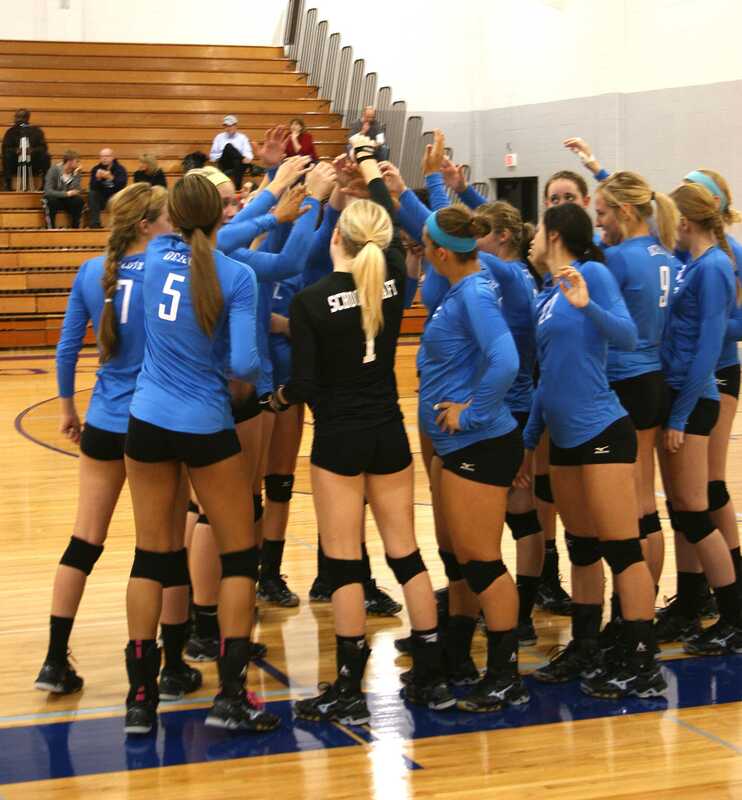 Grand Rapids CC defeated Schoolcraft (25-19,25-17,25-13) in the MCCAA tournament quarterfinals on Oct. 26. Sophomores Stephanie Gibson and Emily Bondar had five kills apiece. Gibson led in blocks with two and Megan Wright led in digs with 15. Amber Staudt had seven assists and Lindsey Umin had six. Schoolcraft’s volleyball team saw their strong surge towards the playoffs and five game winning streak come to an end Oct. 17 at the hands of first place Oakland CC (25-18,25-21,25-16) in their final regular season game. Sophomore Emily Bondar led the Ocelots in kills with six. Stephanie Gibson, Morgan Copperstone, and Ajsha Davie were next in line with five kills apiece. Gibson also led the way in aces (4) and digs (18). Sophomore Megan Wright contributed with 17 digs. Amber Staudt led the Ocelots in assists with 16. As of Oct. 23, the Ocelots were ranked 16th in the nation for the second straight week in the NJCAA Division II women’s soccer poll. The Ocelots clinched the number one seed in the NJCAA Region XII women’s soccer tournament which began Nov. 2 and have won the MCCAA women’s soccer title for the third consecutive year posting a 9-0-0 record. Schoolcraft (13-1-1) played against Cincinnati State Technical and CC on Nov. 2 in the semifinals at noon, but results were unavailable as of press time. For up to date scores and tournament info go to www.mccaa.org. Only Mother Nature could stop the Women’s Soccer team from extending their four game winning streak to five as they tied Jackson 0-0 to close out their regular season on Wednesday Oct. 23. The match was called due to darkness in the second overtime with six minutes remaining. Both Tara Gessler and Alexis Smith split time in the net and combined for 10 saves. The team had 32 shots total nearly double of Jacksons 14 shot total. Leading the team in shots with four was Tiffany Gale followed by Samantha Jarrett with three. Despite the tie to Jackson, Schoolcraft finished the season atop the MCCAA with a 9-0-1 record in the conference and entered post season play as the top seed in the NJCAA Region XII tournament. The team traveled to host Delta College on Oct. 16 to take on the Pioneers. Defense was the key for the Ocelots backed by a strong goalkeeping from sophomore Tara Gessler. Gessler made nine saves in the 1-0 win to preserve a shutout. The lone Schoolcraft goal came on an own goal by Delta following an Erin McKay throw-in in the 22nd minute of the first half. The team had sixteen shots on goal total. 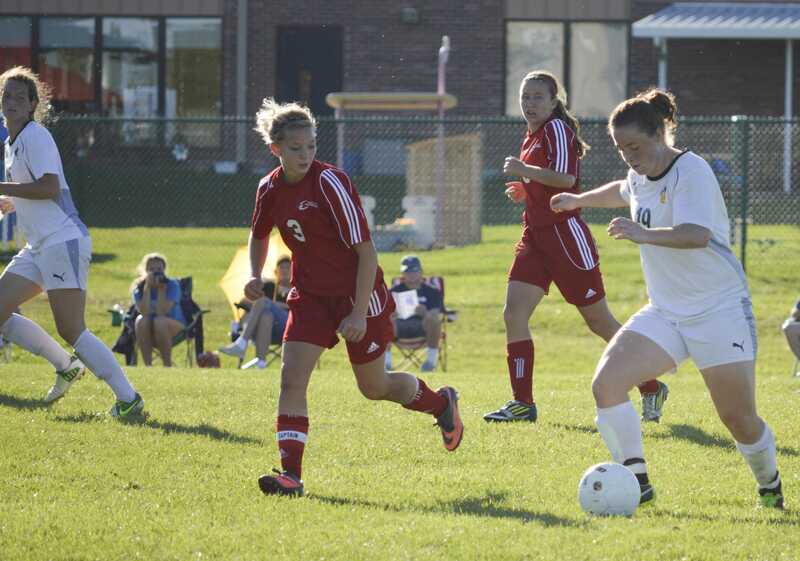 Maggie McLaughlin, Tiffany Gates, Jessica Parry and Kaitlyn Farthing all had one shot on goal apiece.